There are a plethora of reasons for visiting the capital city of Ecuador, a vibrant and exciting city in South America. In 2016 Quito was nominated for 4th consecutive year, as leading destination in South America during the World Travel Awards. This makes it undoubtedly one of the top options for visitors worldwide. My city, Quito is one of the best places to visit all year round, due to the fact that it has a stable “spring” weather. Its subtropical highland climate which ranges from arid and temperate climates to wet and cold results in temperate climate with temperatures ranging from 10 to 27 ° C.
You can find public transportation or hire a taxi to take you to most attractions. Don´t take any taxi, get your hotel to order it for you or make sure it is a safe, registered official one. A way to explore the city, learn more and avoid the stress of planning is to book a tour. I have here some options of tours you can choose from, click here. Here you can find some great options of places to stay in Quito. Hotel Finlandia has a great location in the modern part of Quito, near main shopping centers and Parque La Carolina. It offers good food, fair prices, free Wi-Fi, comfortable rooms and the staff is helpful and friendly. Hotel Reina Isabel is located in a quiet area but also not far from Plaza Foch. Within walking distance you find one of the nicest areas for locals and tourists alike. Minutes away from shops, restaurants, pubs, bars and more. In addition, the staff is professional, helpful and friendly, the food is good and there is a gym/spa! Hotel Vieja Cuba This is a cozy small hotel with comfortable rooms, friendly and helpful staff. The hotel offers fresh made breakfast consisting of eggs, granola, toast, ham, cheese, yogurt and tea or coffee. The location is also great, not far from Plaza Foch, within walking distance you have one of the nicest areas for locals and tourists alike. Minutes away from shops, restaurants, pubs, bars and more. The Yellow House is the place to stay if you are looking for great location while traveling low-budget. This is a very nice and charming place with very warm and friendly staff. Here you are also steps away from Plaza Foch and all shops, restaurants and shops. So, keeping these recommendations of where to stay and how to get there in mind, here are the reasons to visit this city. 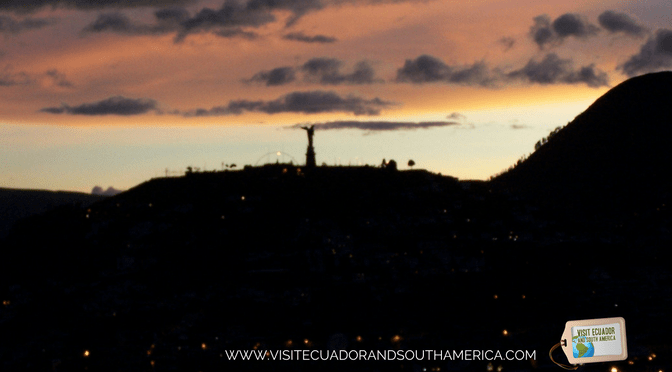 Top reasons to visit Quito. 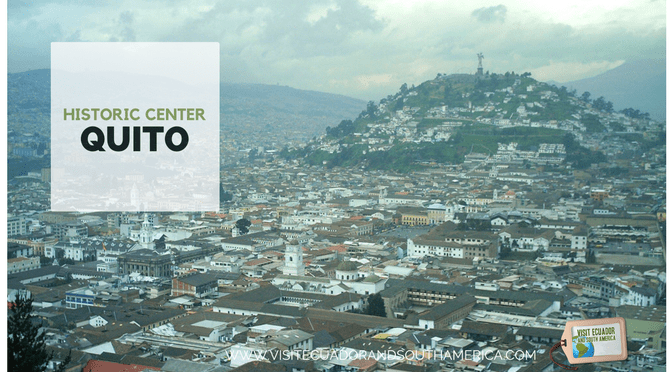 Quito was declared the first World Cultural Heritage site by UNESCO in 1979 because of the city´s largest, well-preserved and least altered historical centers of America. While you stroll through its cobblestone streets and cobblestone sidewalks you will be transported to the colonial era. Downtown Quito constitutes only a small part of what the whole city has to offer to tourists but it is, without a doubt, the most historically and culturally rich area in the city. Do not miss the opportunity to visit the amazing churches that are located around the main square and especially the Basilica of the National Vow (Basilica del Voto Nacional). 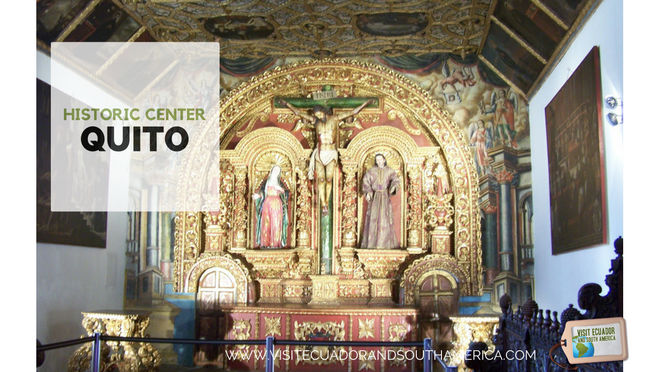 You can also visit other churches, such as: the Cathedral of Quito, La Compañía de Jesús, San Francisco, El Sagrario, and Santo Domingo, among others. Contemporary art Museum, Casa del Alabado, City Museum (museo de la ciudad), La Capilla del Hombre, Casa de Sucre Museum, Ecuador’s Central Nacional Bank Museum, Templo de la Patria Museum, Anthropologic Museum Colegio Mejia, Natural History Museum Gustavo Orcés (MHNGO), The Wax Museum – located in the historical center, The ecological and recreational museum Yaku. 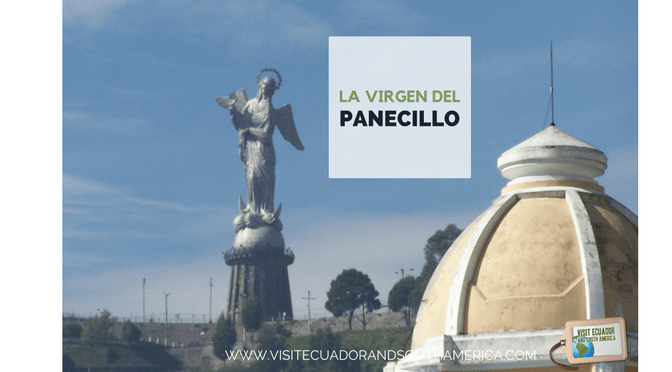 El Panecillo is a monument to the Virgin Mary located on a hill in the middle west of the city, in where you can enjoy the sightseeing of most of the city. TeleferiQo the Aerial tramway Station at Cruz Loma (part of the Pichincha mountain complex at about 4,000 metres (13,000 ft). There are also trails for hiking and areas where pictures can be taken of Quito. Because of the increased elevation and the wind on the mountain, it is considerably cooler. Besides the aerial tramway to Cruz Loma, the Telefériqo as a whole is a visitor center that includes an amusement park (Vulqano Park). The middle of the world monument is located North of Quito, the monument and museum are open daily. However the hours can vary throughout the seasons. There is a small village replicates a small-scale model of colonial Quito, which includes houses, a church and a bullring. You can also visit the Ethnography Museum and the Planetarium to learn more about the indigenous history of the region. But don’t forget to walk along the line and have your picture taken while your stand on both hemispheres. 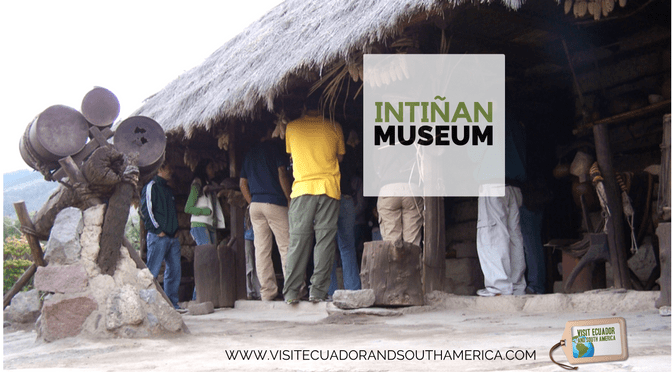 In addition, walk a few minutes to arrive to the Intiñan Solar Museum located just 200m northeast of the Mitad del Mundo Monument. This museum offers a variety of hands-on, interactive and fun activities as well as knowledge of the culture of Ecuador. While you are on the Mitad del Mundo you can also visit the Pululahua Geo-botanical Reserve, located a few miles northwest from the village, the reserve is on the Pululahua volcano, whose crater is visible from a spot easily accessible by car. It is believed to be one of the few inhabited craters in the world. This is definitely one of the hidden gems in the city of Quito. The best place to spend a couple of hours and witness the diversity of flora in this South American country. 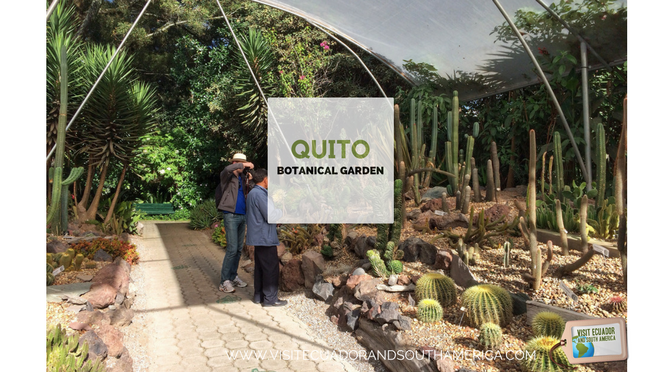 Quito Botanical garden is located in the Southern end of Parque La Carolina, in the modern part of the city and has as it’s main aim that of conservation and educational purposes. Quito offers a variety of restaurants around the city, which are plenty to choose from. Even if you want to taste some local and international cuisine. Located in the center of the world, it shouldn´t be a surprise to see the influence of all over the world in its selection of restaurants. Food lovers can choose from a wide range of food, such as: Ecuadorian, Mexican, Peruvian, Colombian, Argentinian, Bolivian, Thai, Japanese, French, Italian, Dutch, German, Swiss, Arab, among others. In addition to its marvelous places to visit, Quito offers an impressive cultural life. Activities include: concerts, folk dances, theatre and more. Here is a short list with the places which offer artistic and cultural options. • Jacchigua Folkloric Ballet. Offers shows on Wednesdays at 7:30 PM in the Room Aguilera Malta of the House of Culture (6 de Dieciembre and Patria). • El Patio de Comedias. (18 de Septiembre E-426 and 9 de Octubre) – offers theater performances Thu – Sat at 8 PM and Sundays at 6 PM. • The House of Culture – is a huge complex with several theaters and exhibitions, plus a museum. These places can be your starting point to begin with your cultural and artistic journey in the city. If you want to explore more of the city, you can also visit La Floresta neighborhood. In recent years this area has become one of the most attractive cultural places around the city, a kind of Quito Soho, surrounded by cinemas, theaters, design studios, restaurants, cafeterias and artists’ workshops. You can enjoy the nightlife in the city after a day of sightseeing and shopping. As good Latin Americans, Quito´s inhabitants enjoy a good time out together with friends. You can visit La Mariscal, which is considered the city’s entertainment center. Where local people and tourists meet to enjoy good food and drinks. In addition, here you find a variety of restaurants, hotels and inns, travel agencies, language and dance schools, stores, bars as well as discotheques. The meeting point of all of the night activities is Plaza Foch known as La Zona rosa of the city. Quito’s nightlife is definitely the most diverse and suitable for all tastes. Visit salsa clubs where you can experience your dance moves or simply sit and enjoy Latin music. If these places are not suitable for you, there are also classic British style pubs around the area, diverse karaoke nightclubs, and more. This South American capital city that has a lot to offer to its visitors. In addition, it is one of the friendliest places to live worldwide according to Expats. While you stroll down the magical streets of downtown Quito, admire the charm of plazas, churches and museums. I would normally combine this tour with a visit to the monument of the Middle of the World. Furthermore, visit one of the nice, cozy restaurants, pubs or cafés in the Mariscal area to enjoy the nightlife, which is the perfect meeting point for tourists and for locals. Tell us more about your experience while visiting this amazing city. I personally like the option of having a hard copy version where I can take notes and have at hand. If you want more in-depth information and also a guide that you can bring along during your trip, I recommend the travel guide Lonely Planet Ecuador & the Galapagos Islands . It is a great source of information and tips, maps and all you need if you plan on visiting Ecuador. Ecuador sounds like a fascinating place to visit. Being that close I’d have to have stand on both hemispheres. I also have a new found love of history in my older age so I would love to visit the Ethnography Museum and the Planetarium as well as the other museums. The artistic area would be on my list also. This looks like an amazing place to visit. I’d love to stroll through the artistic area. I am absolutely intrigued to visit this amazing place someday. There are so many wonderful things to see and do!! Quito sounds a wonderful place to visit. You have shared so much useful information that would be very helpful for organising a trip there. I love finding new places to write down and check out. We travel all summer long to new destinations!! 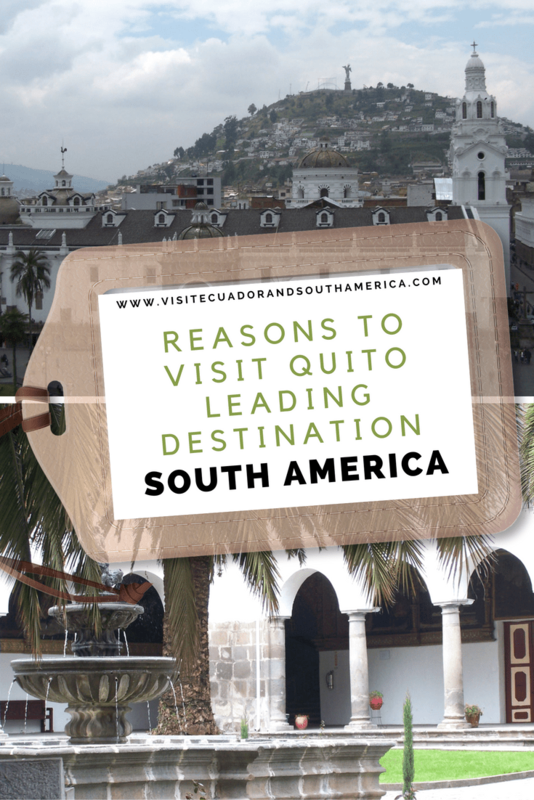 I have never been to Quito and I didn’t know this much about it, to be honest! I really appreciate your post because it has everything! I have been hearing about Quito a lot lately! It does sound like a lovely place to visit when in South America.